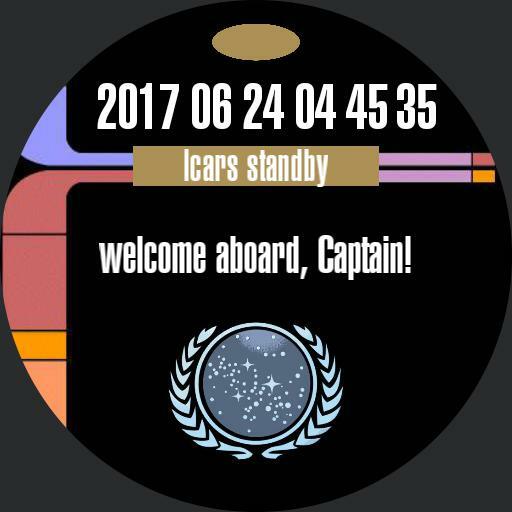 LCARS design for trekkers. Tap on top yellow button to cycle through the screens. Tap on main weather icon to update the weather. The heart rate and fitness launches Ticwatch specific apps but feel free to modify.